Have you ever thought about how you want to be remembered after you die? Are you leaving a legacy of good that will live on after the days of your life are over? Do you want people to remember you as kind, loving, and generous? As godly and wise? Do you want your funeral to be packed out with people who gather to honor you and the work you did in your life? It’s Memorial Day in the United States when I’m posting this. Memorial Day is a day on which Americans remember the generations gone before. Many times, that means we remember soldiers, sailors, and other military heroes and heroines who have given their lives for the cause of freedom. But Memorial Day also means we remember others who have gone on before us: parents, grandparents, siblings, pastors, teachers, and others who have influenced our lives. When I was thinking about this, I wondered: If I don’t end up pursuing having biological children, will I have a legacy at all? Will people remember me when I get to the end of this life? And if so, for what, exactly, will they remember me? Leaving a legacy is a big deal–and it’s an even bigger deal to leave the right legacy. I don’t want to live my life for things that don’t matter. I don’t want to spend my life racing down a road, only to find that my road led me to nowhere (or to the wrong destination). I don’t want to climb a ladder my whole life, only to get to the end of my life and find that the ladder was leaning against the wrong wall. I want to live my life and live it well, making such a difference in the lives of other people that they remember me for the same things for which I want to be remembered. So for what would I want to be remembered? I thought about this a few days ago when I was travelling. I was in an airplane, and we had actually started the takeoff process–engines spooled and we were speeding down the runway at top speed, about to be airborne–when the pilot aborted the takeoff, locked up the brakes, and the plane lurched forward with a big jerk and a big noise. I was scared. I admit it. I thought we had just crashed into something on the runway, and I was afraid that something really bad was about to happen. I honestly felt like I looked death in the eye. But that situation got me thinking about how fragile life is. None of us are guaranteed tomorrow. And if something happens to us, how will we be remembered? Will you and I have made the absolute best of the days allotted to us? I would want everyone who knows me to remember me as the most ardent, passionate, sold-out, genuine lover of God they ever knew. I want to be remembered as someone who chased after God with her whole heart and strove always to obey Him in all things. I want to be remembered as a woman of prayer and of the Word; that, like Jesus, the Word of God would ooze from my pores when I’m squeezed. I want to be remembered as a person of honor and integrity; and that those who know me best would respect me the most. 2. Love for my husband. I would want my husband to know how much I love him. I adore him. He brings me great joy. I want to be with him always. He’s amazingly beautiful inside and out, and I love him more than words can ever say. He is my better half, my other half, and I am his other half. When God made husbands, He picked the best one for me. Bruce, I love you. I could never say it enough. 3. Love for others–especially my spiritual children. Like I said above, I don’t have biological children yet. But I do think I feel as strongly about my spiritual children as you do about your biological ones. 🙂 I love them. I believe that you are who God made you to be. I believe that you will continue to chase God, growing in holiness, maturity, and power, all the days of your life. I believe that you will fulfill every last good work that our Father finished for you before the foundation of the world. I believe in your gifts, and your call, and your talents, and your total and complete adequacy in Christ. You can do all things through Christ who strengthens you. I believe in you. And the very fact that you exist brings me joy. You don’t have to do anything or be anything. I just love you. I love the pleasure of your company. And I desire that you would fly higher, farther, faster than I ever could; that somehow Papa God would see fit to allow my life to forever impact yours for His glory; and that you would know Him and the power of His resurrection, and the fellowship of His sufferings, that you may obtain to the resurrection of the dead. I know that you will. Jesus Christ Himself will keep you. But I want you to know, regarding myself, that I LOVE YOU. I want to be remembered for generosity. I want to do so much to bless so many people during my lifetime that, when we get to the final call, the people I blessed would always know that they have a Papa who flowed through me to love on them. Jesus said that the greatest among us shall be our servants. I want to leave a great legacy, so that means I have to serve, serve, and serve some more. I want to lay my life out as a highway for God to use to ride into the lives of millions of people with love, power, and mercy. I want to preach good news to the poor, heal the brokenhearted, set the captives free, and encourage the downcast. That’s what I want to be remembered for. How about you? What kind of legacy do you want to leave? And if so, what are you doing to get there? What can you do TODAY to become a little bit more of the person God created you to be? Think about it. Nobody else can answer those questions for you, but they have to be answered. Don’t spend your life climbing a ladder, only to find it was leaning against the wrong wall. Don’t waste your life maneuvering around a curvy road, only to find out it only led you to a trash dump. Instead, decide what legacy you want to leave, and begin building that legacy today. Brothers and sisters, you can leave a godly legacy. You can be well-remembered. You and I can both lay our little lives down at the feet of Jesus and spend ourselves for His glory. Will you do something today to begin leaving the legacy you dream of leaving? If this message speaks to your heart, please leave a comment below. I love hearing from you. Recommended product: If you want to get God’s design and downloads for the next season of your life, so you can start taking those tiny steps that will help you leave the legacy you desire to leave, I encourage you to go on a personal vision retreat. Getting alone with God for even two hours in your bedroom can make all the difference in the world! If you’d like a handy guidebook to walk you through the vision retreat process, download a copy of my Arise, Shine! vision retreat handbook. It contains everything you need, plus loads of bonus material, to help you get God’s heavenly downloads for your new season. Click the button below to purchase this downloadable handbook on my Gumroad store! I frequently think about what kind of legacy I’ll leave and I’m trying to be a good person in the end. Hi, Jamie! The day will come when the Lord will ask you to extend your wonderful annointed writings to french speaking countries. If you ever need someone to help you with the translation , i am your man.I would be so honored that i’d do it for free so that His blessings and encouragements through your ministry,may touch francophones around the globe.Thank you for considering this offer from your french supporting brother from Quebec. André Robert: I’m also from Quebec, in fact from Quebec city. Where are you from? Brother Andre, you are an answer to prayer. 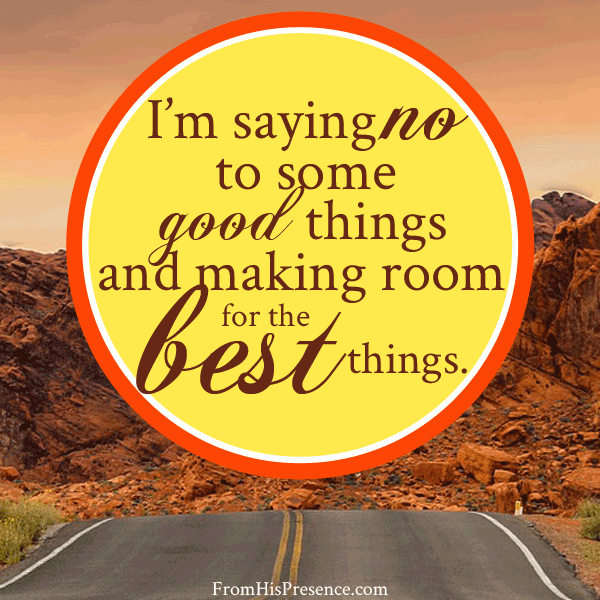 I’ve been praying for people to help me–there’s so much work to do that I can’t do it all! I’m willing to take you up on that offer if you’re serious. I could publish French articles if you’re interested in translating. You can email me at jamie at fromhispresence.com if you’d like me to figure out which article would be good to start with. Since I’m a francophone also, I would be glad to help translating if you want. I am serious and willing to help you with all my heart and my God given abilities.I must tell you that I never expected an answer that fast from you.I don’t know how you want to proceed but everything you decide is fine with me.I can start right now but in a few weeks I will have more time to dedicate to this new project.You see I am a science teacher and will be able to say school’s out for summer and by the end of 2017 I will be retired and say school’s out for ever. Future holds so many amazing things for all the people connected to your divine calling.I hope we will be friends for life. I am from St-Jean-sur-Richelieu(south shore of Montreal). Hi jamie this is minister RAYMOND i missed giveing last my money order returned my fault so this time im $ 18.00 monthly my heart is in giving to souls. …….you better keep doing GOD IS PLEASED. LOVE IN THE LORD ray to all who read this its of GOD.